Group of rhombohedral crystals of very well defined faces and edges and an excellent color. 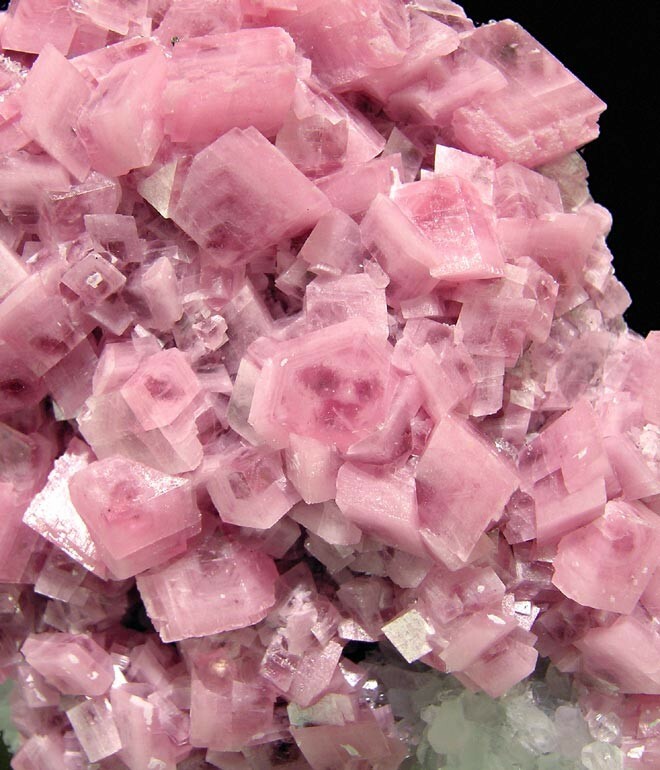 Notice the zonation of the color corresponding to different phases of growth, darker at the center of the crystal with alternating zones of different shades of pink nearer the edges. 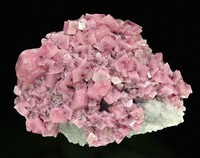 The group is on a matrix of small crystals of Quartz.